Smoke Rise is one of America's finest private lake club communities and hosts over 900 homes on 2,500 acres. 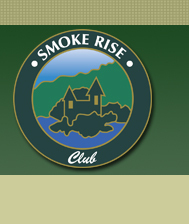 Smoke Rise has 24-hour security, a variety of sub-clubs, and special events grounded in a tradition of community spirit and community service. Our beautiful Lake Kinnelon features a large beach, lifeguard shack, snack shack, BBQ grills, volley ball nets, playground, horseshoe pits, basket ball and bocce ball courts. There are boat docks as well as storage racks for sunfish sail boats, kayaks, canoes and paddle boards. There is an annual fireworks display on the 4th of July for all residents and their invited guests as well as many other community social events including a few that feature DJs or live bands, making the beach a social hub day or night during the Summer months. Smoke Rise also features a Village Green which hosts a baseball and soccer field, play ground, basketball court, tennis courts, 10 in all, and a paddle tennis court. Across from the green are two riding rings and down the road are the stables. 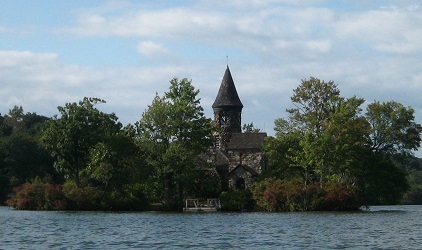 For those that enjoy Winter activities, there is skating on Hoot Owl Pond and ice fishing on Lake Kinnelon which is hosted by the Smoke Rise Fishing Club. There are also several ski mountains only 20 – 45 minutes away, which make quick after school or weekend daytrips to the slopes possible. If the lake and beach are our first and second crown jewels, the Smoke Rise Village Inn is certainly our third. The Smoke Rise Village Inn has been offering fine cuisine and exceptional service for 65 years. Its historic stone building, once a farming structure, dates back to 1892. Following years as a thriving dairy business, the building was developed into a restaurant in 1947 — created to serve as the social hub of its small community. It has since evolved into one of the area’s premier culinary and catering destinations. Whether you're looking for the ideal location to raise a family or a community for your golden years, Smoke Rise is more than a place to live; it's a way of life. Each unique home, no two are alike, is in its own breathtaking surrounding in a landscape forged by mother nature's glaciers. Smoke Rise is located in the north woods of New Jersey in the Borough of Kinnelon, within historic Morris County, only 30 miles from the excitement of New York City.